WES PTO Healthy Heart Event - Wed., 2/13/19 @ 6-7:30p.m. Please join us in the Cafeteria! The PTO will be having a Healthy Heart event on Wednesday, February 13, 2019 from 6:00-7:30 pm in the cafeteria. This event is open to everyone. 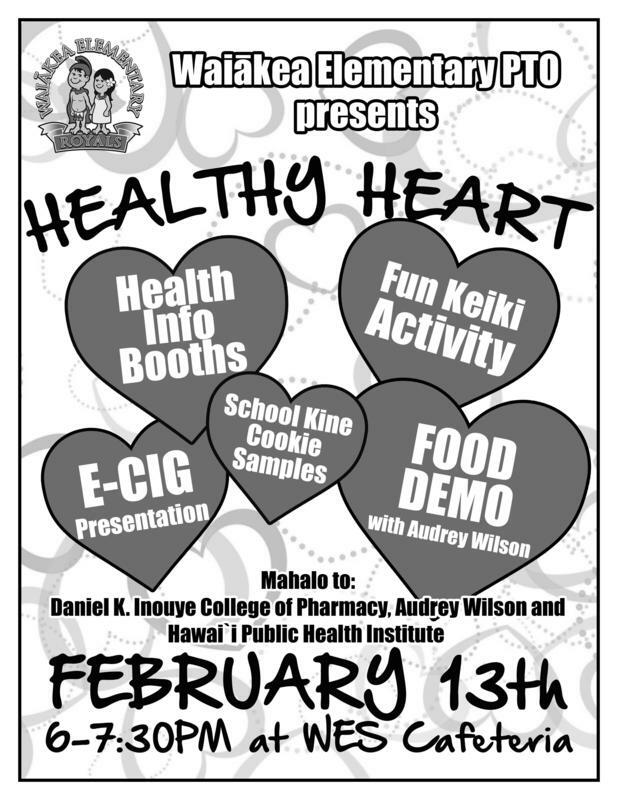 There will be health information booths, a fun keiki activity, e-cig presentation, and a food demo with Audrey Wilson. Please join us!